BALL LOCK HOMEBREW KEG COUPLERS: The complete ball lock homebrew keg tap set includes both a gas in and a beer out coupler for easy tapping of Cornelius Pepsi kegs. The gas in comes with a 1/4" nut and 5/16" hose barb already attached to quickly connect to the same size air line that standard draft beer regulators use, and the beer out has a 3/16" hose barb that connects to standard 3/16" beer line. 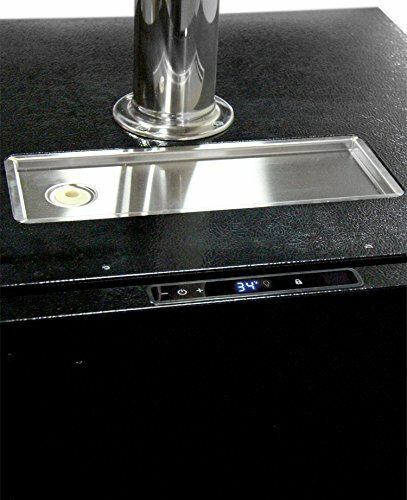 It is now easier than ever to make the switch from bottling your home brewed beer to serving it straight from the tap thanks to this MPMVKBO1XHB kegerator, which combines a high-performance Marvel draft beer dispenser with Beverage Factory's specially designed X-CLUSIVE Single Tap Home-Brew Keg Tapping Kit. 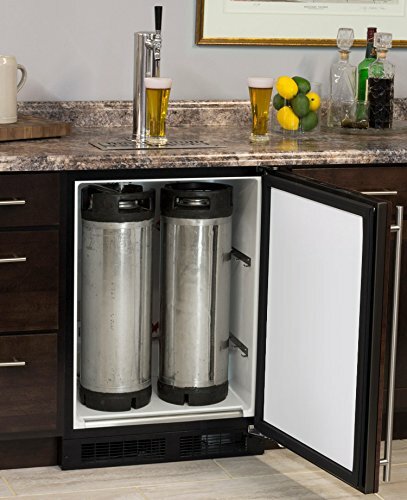 This stylish homebrew beer dispenser hides your kegs from sight while keeping them cooled to their ideal serving temperature, ensuring that you'll always be ready to serve your guests a frosty-cold glass of your delicious home brewed beer! 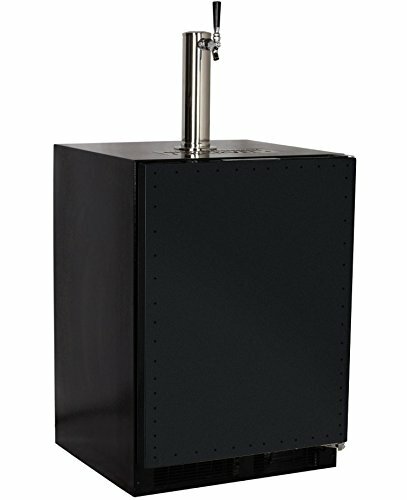 The keg cooler can accommodate up to three ball lock Pepsi Cornelius kegs, or either one half or one quarter keg. It features an overlay door that accepts a custom wood panel to match surrounding cabinetry, and is suitable for either built-in or freestanding use. 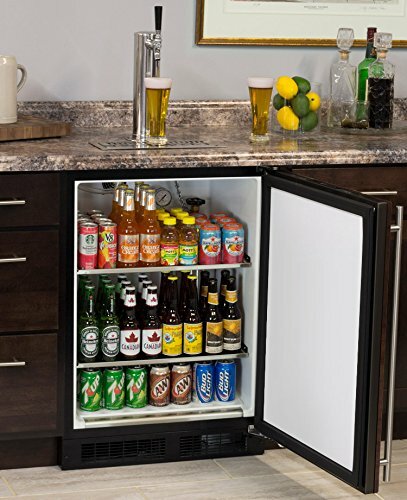 This single product kegerator comes with Beverage Factory's X-CLUSIVE One-Tap Homebrew Keg Tapping Kit, which includes a single faucet stainless steel draft tower, two sets of ball lock home-brew keg couplers, one 5 lb. 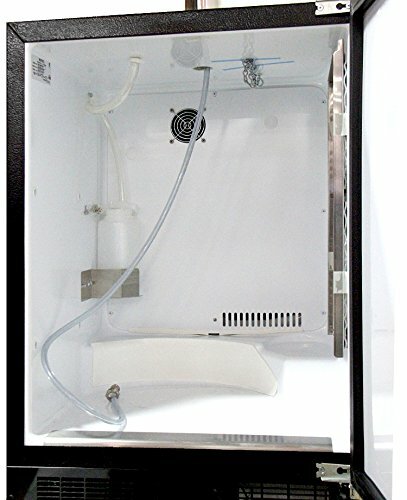 CO2 tank, one premium Pro Series dual gauge CO2 regulator, and all of the hoses and washers necessary to dispense one ball lock keg of home brew beer.